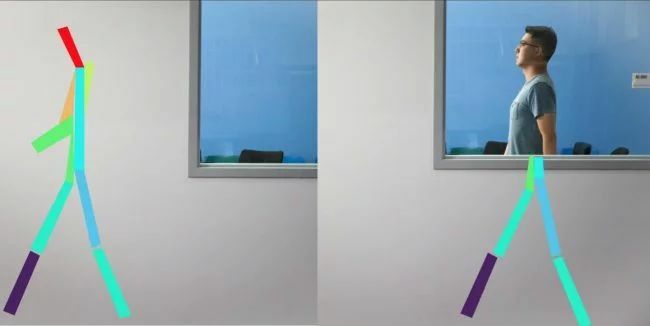 Motion tracking technology is not surprising, but a team of engineers from the Massachusetts Institute of Technology (MIT) was able to create a device that can monitor a person through walls. And the device turned out not at all cumbersome. The device was called RF-Pose. In order to train the algorithm for new tricks, MIT employees tracked people’s movements using radar and a video camera. They fixed walking, conversation between people, sitting posture, standing and waiting pose, as well as opening doors. Then, using a not very complex computer program, the image was transformed into a skeleton model of each recorded situation. These models, together with the radio signal, studied AI, and so he learned to recognize the relationship between the radar readings and what actions a person or group of people was currently doing. As a result, MIT specialists have created an algorithm that in real time can show people moving behind a wall or other obstacle. It is worth noting that at the moment the system is able to “give out” only a two-dimensional image, but in time, the system can be optimized in such a way that it can monitor in three dimensions. Creators also plan to teach AI to recognize more complex movements, such as fine motility of the hands and fingers, since now it is only possible to observe the movement of limbs and trunk. The authors themselves argue that their system can find application in a wide variety of areas. From quite logical observations of places of mass congestion of people to medical institutions and places of detention.